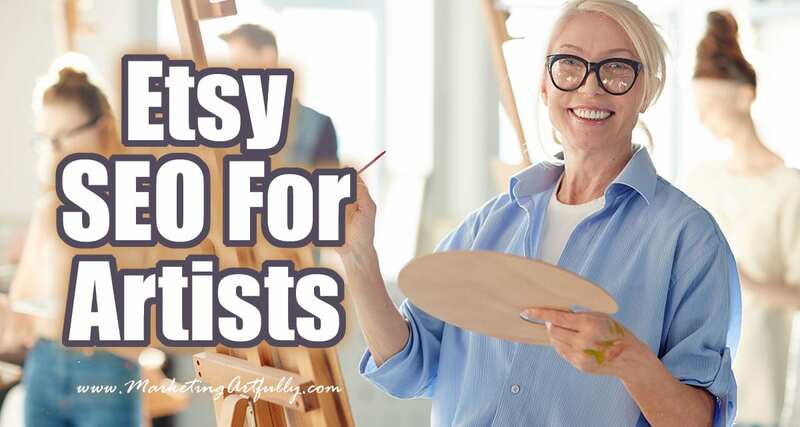 Easy tips and ideas for doing your Artist Etsy SEO. If all you want to do is paint or draw or sculpt, not do computer work, this post will help you learn to do your listings fast! Great for Etsy shop owners who are artists or creative types. There are some affiliate links in this posts. If you click through to check them out I will get a little commission, that’s what helps me to keep this site free. Before we get too far along the trail of details, let’s talk about how Etsy SEO works in general. 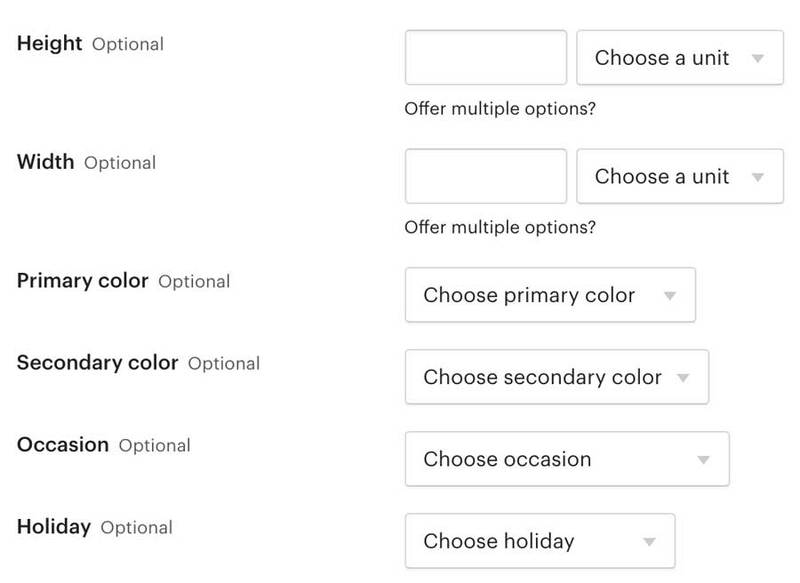 Etsy uses a number of different indicators to decide which listings should show up in search. They can include time since your last sale, your reviews, total sales to your store, vacation mode, shipping costs, recency of listing AND titles, tags, categories and attributes. The thing about most of these is that we have little to no direct control over those, but we do have control over how we write our titles and tags to try and rank higher in Etsy search, which will mean more views, and then potentially more sales. 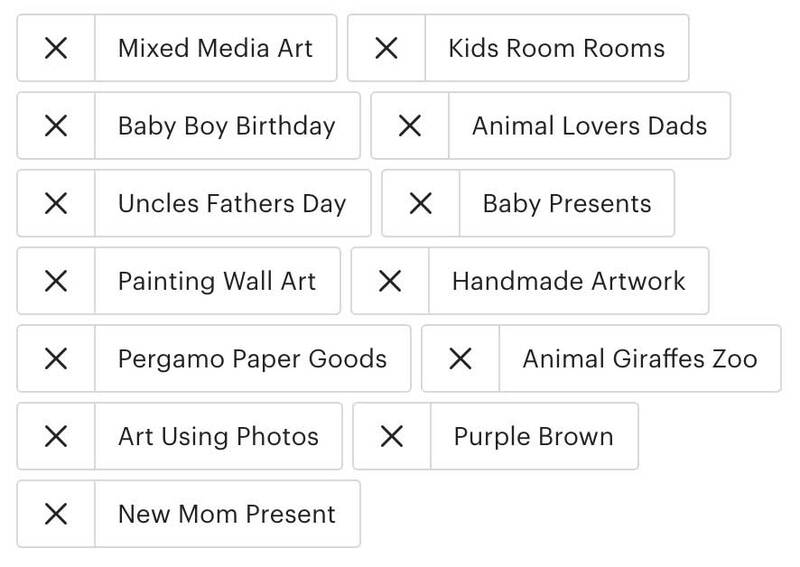 When you load your listing you get to pick the categories and attributes that Etsy will use to help sort your product in search. Not that long ago they added a cool dropdown when you go to find your category.. In this example, we are saying that the product we are selling is an Acrylic painting. By choosing that selection Etsy will automatically put you in all the relevant categories for your work. Yay! So not only do we know that our category is art > painting > acrylic, but we also know those will be important words to use in our title and tags! Note: Etsy has said that you should use occasion (anniversary, graduation, housewarming) and holiday (Christmas, Easter, New Years) only if your item is directly for that holiday (for example a painting that has a Christmas tree in it). 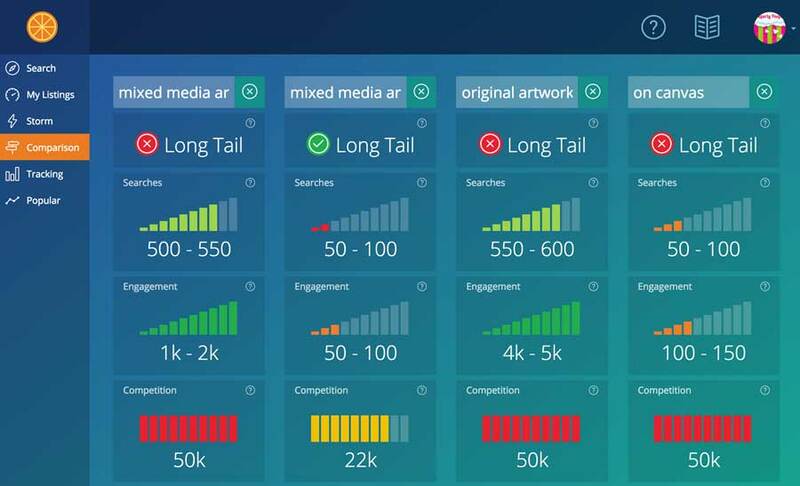 If you put it in a category that is not really about your work, they might show it to people but not as many will buy, which will hurt you in the long run. For overseas sellers: If you are not in the United States AND you want to sell to the US, please remember to use Inches not CMs or MMs. We don’t understand what those mean and instead of figuring it out will just move onto the next listing. It is silly I know, but if your goal is to sell more here, then do the inches! OR split test it on some of your listings and see if you sell more with inches or metric measurements. Okay now we can get into the meat of your Etsy SEO! YAY! I am going to use Gianna’s Giraffe picture as our first example. Her shop is Pergamo Paper Goods and she does original mixed media art and then sells prints and stickers of her work also! 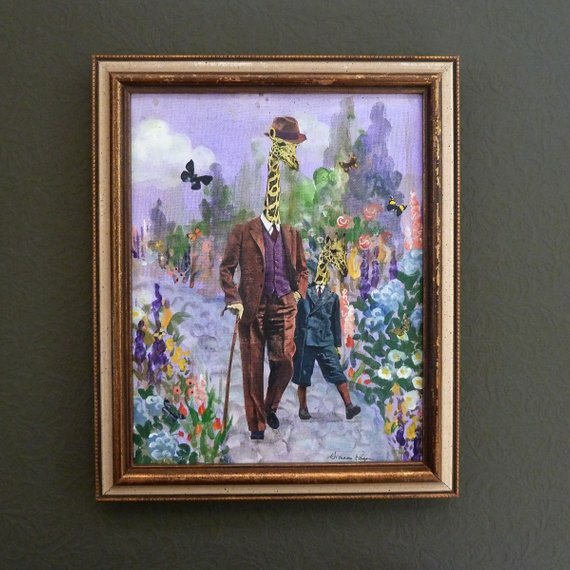 Mixed Media Collage, Original Painting, Anthropomorphic Giraffe Father and Son… sweet, just 62 more characters to go, and this is where most artists go, “that’s it… it is a painting” and give up. Doh, we didn’t even have “art” in our title yet so we can add art, wall, on canvas and using photos to our list of keywords we have since we know that Google relates those to mixed media paintings. I would keep doing Google searches looking for more related keywords until I ran out of ones that seemed relevant! Right off the bat we can see that Gianna’s art is going to fit in well here AND we see a row of buttons across the top that have related terms that the hundred of thousands of Pinterest users associate with mixed media from best on the left to worst on the right. The words up there that relate to our picture are Canvas, Collage, Artwork and Painting… wow, canvas is coming up quite a bit… now I would start thinking that I messed up with the “original” in our first working title and I should have canvas instead. And we added artwork. So “on canvas” is definitely a thing and acrylics is in there too…hmmm… interesting! I had to do a little Photoshop magic so we could see the whole title and how many characters we had left but that is STRONG and we have 21 more to go! YAY! Don’t panic, there are SO MANY MORE we can use! When we start to think about Who would use something we can start to understand some ancillary keywords we can add! I can think of lots of fun places to use a cute piece of art like this! You can think of all the places your art might fit in. Don’t forget that corporate buyers often need artwork for Corporate Offices! That is a huge market that is untapped by most Etsy sellers. If it was another kind of picture it could be a wedding present, graduation gift, etc. Now, I can’t imagine my son who is 10 being excited about a giraffe painting, but remember that baby and little toddler gifts are for the parents not really for the kids! This is a step I like to take using a paid tool called Marmalead. 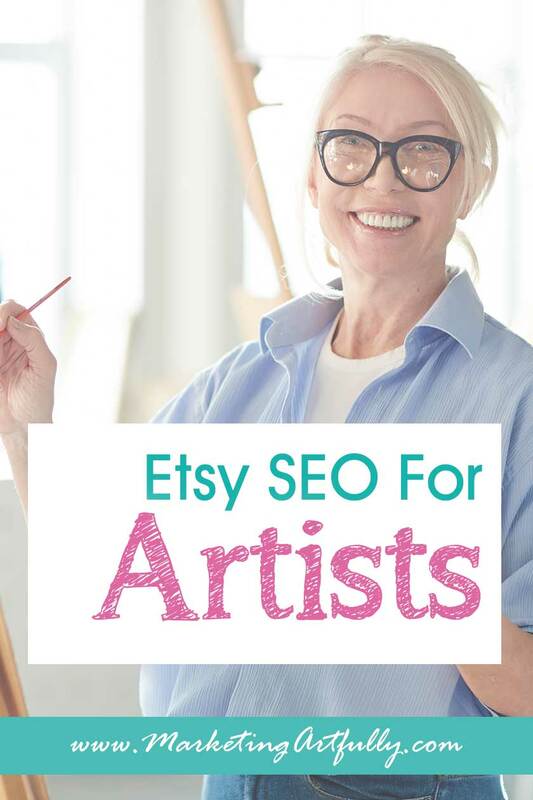 They track the search volume of keywords that are actually searched by Etsy sellers so we can see which ones will get us the most views on our listings. Seeing all these numbers can be super confusing, but I will explain it to you! First off I wanted to see if “nursery decor” was better than “nursery gift” and HECK YEAH it is! So that goes on our list of keywords. 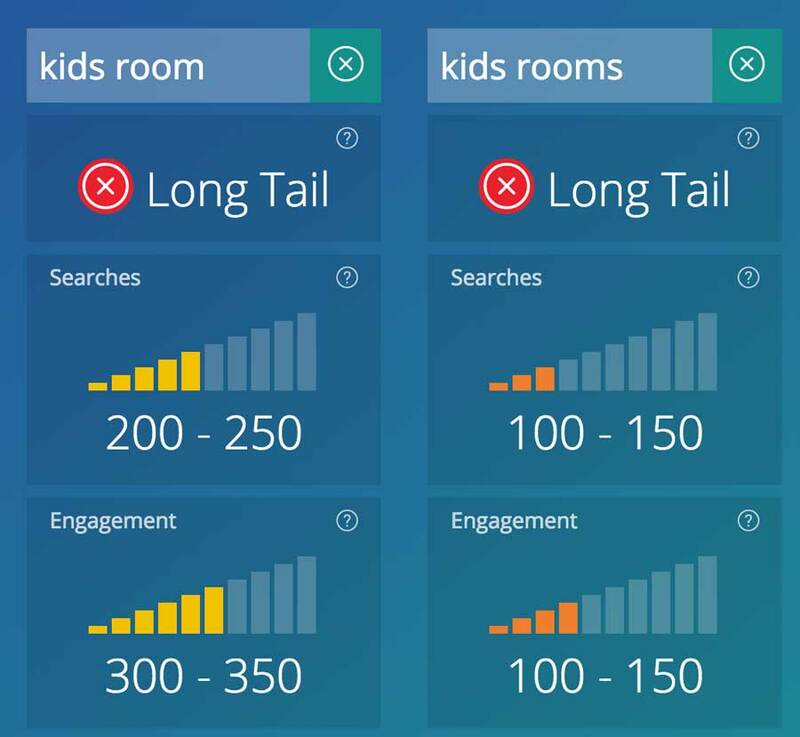 You can use Marmalead to sift and sort all different combinations of keywords to see which are going to be the best for your listing! 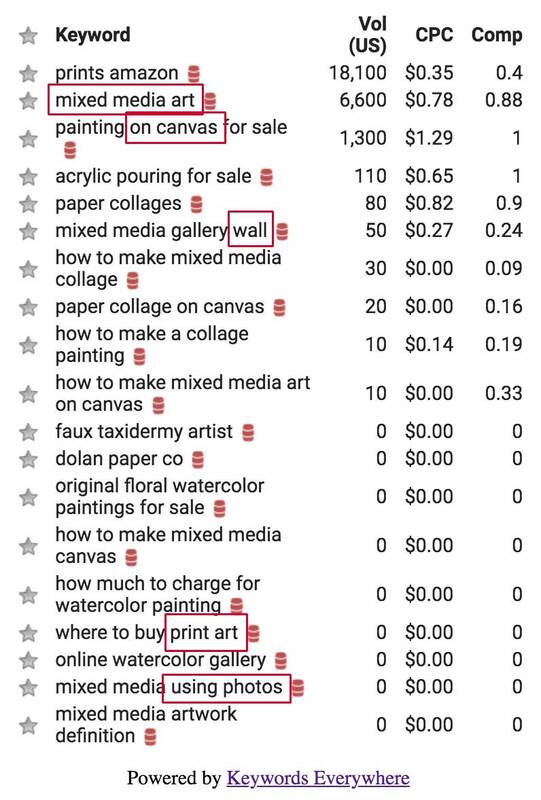 In the first two I checked the different amount of searches for “mixed media art” versus “mixed media artwork” and there is a clear winner! “Mixed media art” goes in my title and “artwork” gets moved down to the tags. Also another shocking result. “Original artwork” which I poo-pooed when I saw how often “on canvas” came up in Google and Pinterest is anther clear winner. So why does that happen? 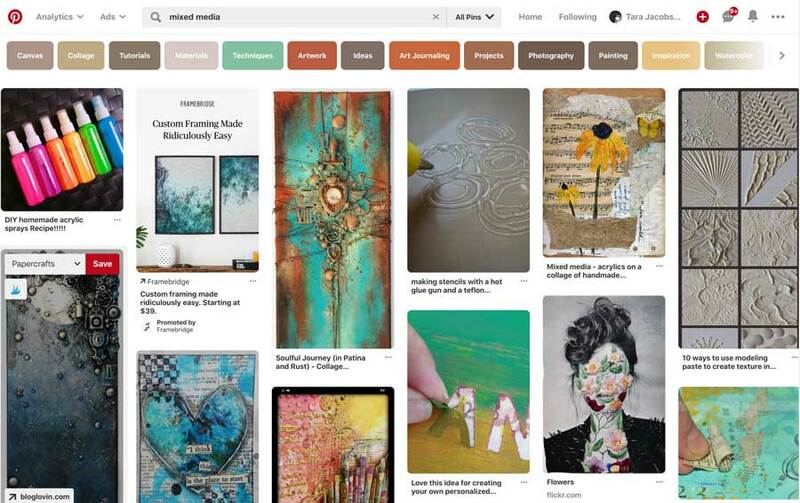 While Pinterest and Google are great for generating keyword ideas, they are not SALES sites so that “on canvas” might be great for how to videos or DIY but people aren’t using those terms to BUY products for sale! Okay, here is what I would go with if it was my listing! The first part is for buyers so they see that it is a cute giraffe! Anthropomorphic is because some people (like me) do that exact search to find animals in clothing. My tags would use “Mixed Media Art” and “Painting Wall Art” because those are strong keywords we found in Etsy search and then I would add in all the other words we never got to! Okay, I can hear SO…MANY…QUESTIONS! I will try to answer them all…. Weren’t You Supposed To Repeat Your Keyword Phrases? …which is how Gianna’s Giraffe Mixed Media Painting listing looks now. Etsy recently said officially that repeating keywords does not help in SEO (in the past it did). So all those repeated words (4 Giraffes, 2 Painting, 2 Art) are wasted space. Shouldn’t You Have Exactly The Same Words In The Same Order In Your Title and Tags? Again that was something that helped in the past. It used to be that if you repeated your title phrases over in your tags it gave them more weight in search. It doesn’t anymore. That said, if you have one or two strong phrases, go ahead and repeat them, but then use up the rest of the space with all different words. 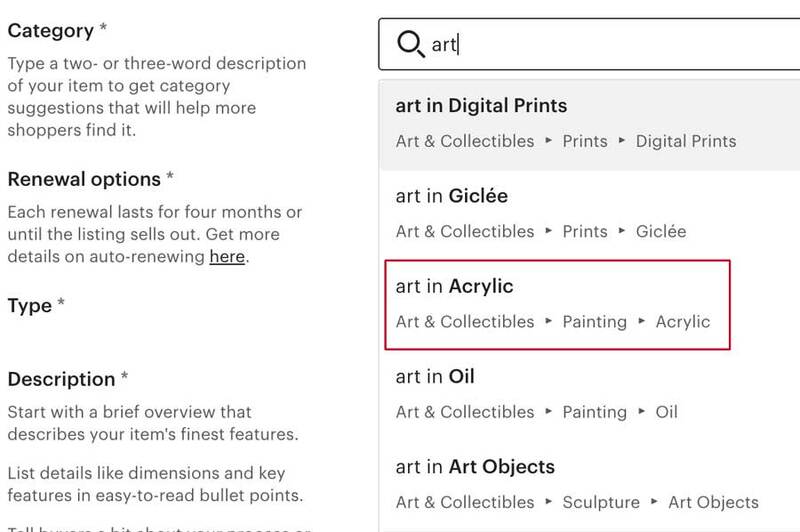 Etsy combines words that it finds in titles and tags to make you show up in searches that you never even thought to try! Why do you have “room” and “rooms”, aren’t the plurals the same? Nope! Doing a search right now for “kids room art” and “kids rooms art” shows that half of them don’t even show up on the other search and only one is in the exact same place on both searches. Why Should I Pay For A Tool Like Marmalead? Well let’s take this to the logical conclusion… which is better? Kids room or Kids rooms? Kids room gets more searches so I would make my tag, “Kids Room Rooms”. 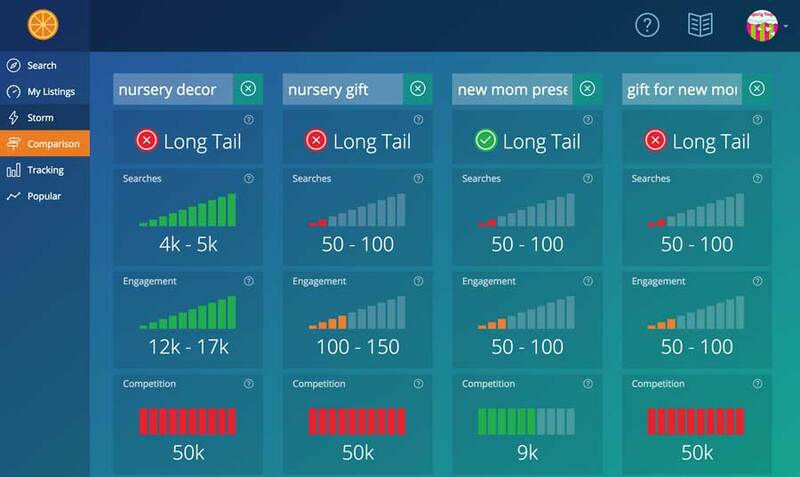 Now will that change the course of my shop sales, maybe not this one little one, but over time on hundreds keywords in all my listings it can make a huge difference. Disclosure… as I said, I am an affiliate for Marmalead, but I don’t get it free. I pay my $19 a month like everyone else and use it every day that I am making listings or tweaking old ones. 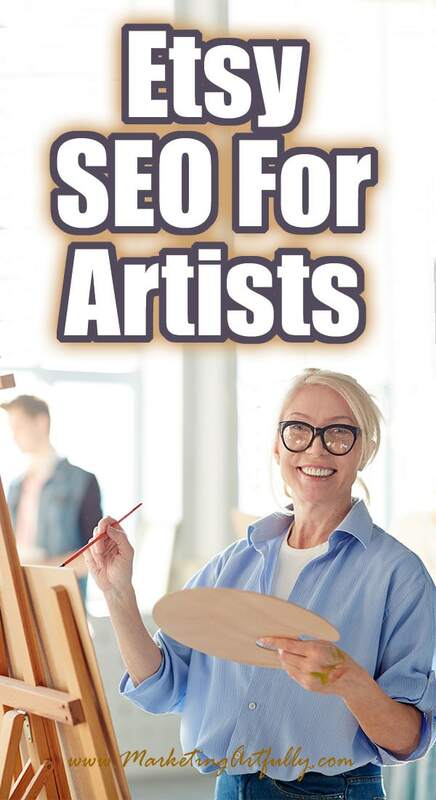 Can You Do The SEO For My Art? Whenever I do a post like this, lots of nice Etsy sellers contact me and ask if I could do the SEO for their shop! That is so nice and flattering, but I don’t do work for shops. But what I will do is make you your very own video that is private and let you know how to do Etsy SEO for either one of your listings or your whole industry! Check it out here! Previous Post: « Etsy SEO Update September 2018 – Key Points and Takeaways From The Changes!